Rural Revolution: A new blog sponsor! As you may have noticed, a few days ago we posted info on a writing contest sponsored by Safecastle LLC. on the subject of self-sufficiency and prepping. As a result of our readers’ interest (and click through count! ), we were then invited to become a participating blog in the contest. While all that was being set up, the owner of Safecastle wrote and said that he really enjoys reading Rural Revolution and asked if he could become an advertiser. Naturally we said yes. 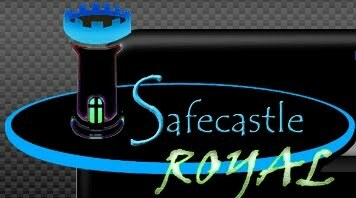 So we would like to extend the warmest possible welcome to Safecastle LLC as the newest member of our select advertisers on Rural Revolution! By select, we mean that we continue to partner only with companies and individuals whose products and professional behavior fit with the guidelines listed on our advertising page. We've actually turned down several potential advertisers so far, not because their products weren't good or because they weren't nice folks, but because they just didn’t 'fit' with our core philosophy. "In a nutshell, Buyer’s Club members pay a one-time $29 fee to join (click on the "recruiting image" link in the right column of every store page). That's a lifetime membership that never requires another renewal fee ... ever! As a return on that small investment, members receive a 20% discount on most everything in the store all the time (exceptions are clearly noted), free shipping to the lower 48 on everything in this store all the time, and special incentives, freebies, and promotional opportunities as they become available. (Be sure to watch the scintillating ‘About Us’ video.)" This is truly a great service. And with just a couple of orders (even if you're as poor as we are), it pays for itself. Cool! Congrats to both you and Safecastle. It's a good match.